Functionality, versatility and efficiency are all important in a vehicle — and the HR-V definitely has all of those things. But let’s not kid ourselves: Looks matter too. Fortunately, the HR-V over delivers in that department. By a mile. The 2018 HR-V is built on the same platform as the Fit five-door, allowing spacious interior space in a small footprint. 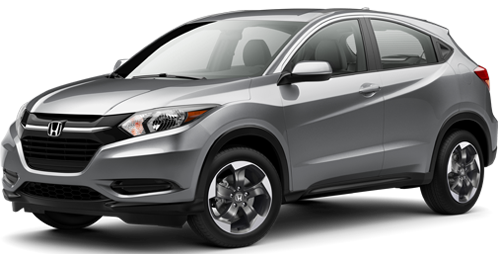 The HR-V runs with a 1.8-liter four-cylinder producing 141 horsepower and 127lb-ft of torque. A six-speed manual transmission is offered as standard on 2WD LX and EX models. The EX-L trim gets a standard CVT with sport mode and dual-mode paddle shifters. Front-wheel drive is standard, but if you choose the CVT, you open up the option for an all-weather Real Time AWD system with Intelligent Control. 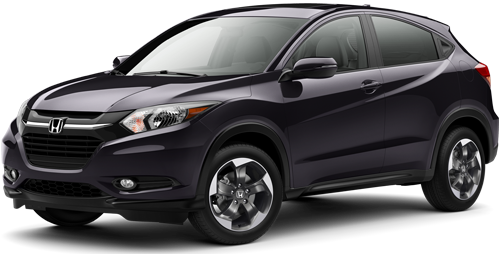 With 2WD and the smooth CVT gearbox, expect the 2018 HR-V to earn you 28 city/34 highway MPG; AWD is no slouch either, earning up to 27 city/31 highway MPG in EPA tests. Come and see the 2018 Honda HR-V at your local Honda dealer today! 25 city/33 highway/28 combined mpg rating for 2WD 6-speed manual transmission models. 28 city/34 highway/31 combined mpg rating for 2WD CVT models. 27 city/31 highway/29 combined mpg rating for AWD CVT models. Based on 2018 EPA mileage ratings. Use for comparison purposes only. Your mileage will vary depending on how you drive and maintain your vehicle, driving conditions and other factors. MSRP excluding tax, license, registration, $995 destination charge and options. Dealers set their own prices. Based on the 2018 ALG Residual Value Award-winning Honda Fit, and taking cues from the one of the most popular CR-V and Pilot crossover utility, HR-V was destined for success. 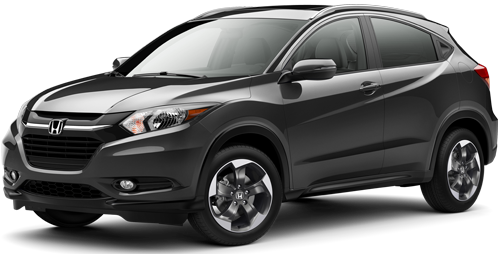 Honda’s interior flexibility is on display as the HR-V offers up versatility and space to match its fuel efficiency and confident handling. HD Radio™ is a proprietary trademark of iBiquity Digital Corp.
 See 2018 Consumer Guide Best Buy for more details.